The Linksys MAX-STREAM AC1900+ MU-MIMO Gigabit Router (EA7500-AH v2) is ideal for medium-sized households running simultaneous high-bandwidth wireless applications, such as video streaming and online gaming at speeds of up to twice the speed of non-MU-MIMO routers. * Dual-band architecture allows users can manually assign high- and low-bandwidth data streams to the 5 GHz or 2.4 GHz bands for optimal speed and performance. *Actual performance may vary. Performance is dependent on products used, interference, and external conditions. Specifications subject to change without notice. An active broadband account required for Internet connection. Some devices may require wireless adapters or Ethernet cable. 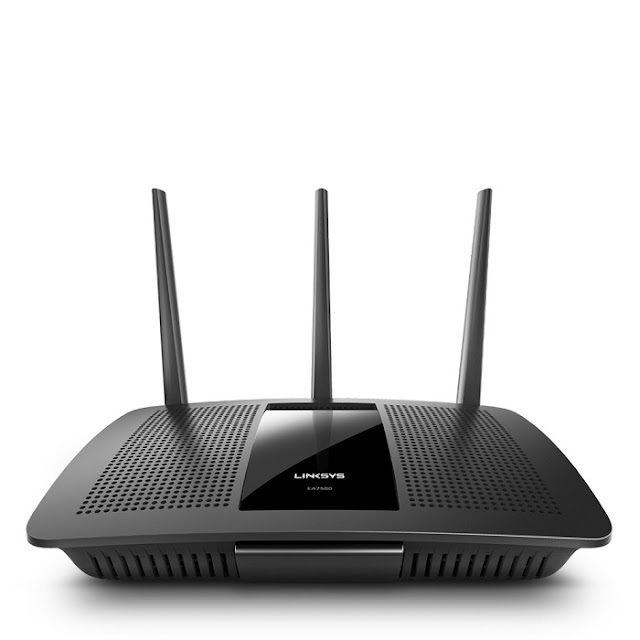 The new Linksys AC1900+ MU-MIMO Gigabit Router can be configured with Linksys Smart Wi-Fi router setup. Note: The power indicator (Linksys logo on the top of the router) would continue to flash if the router does not detect Internet connection. Connect to the secured wireless network shown on the label on the bottom of the router. Select the option to automatically connect to this network in the future. Open a web browser to launch Linksys Smart Wi-Fi router setup instructions. Follow the on-screen instructions to complete your router setup. If you do not see the setup instructions, type 192.168.1.1 in the address bar. If you would like to manually configure your router, check the box next to “I want to skip Setup and configure my router manually” before clicking Next. The router will prompt you for router password. The default router password is admin. Objective: To demonstrate the performance brought by 3x3 802.11ac technology. Follow step 1 to step 3 in “To configure the router for the first time”. Once you have signed in the router setup, select “Connectivity” on the left panel as shown below. Click Edit in “Type of Internet Connection”. Then, select “Wireless Bridge” in the pull-down menu. Fill in the required information to connect this EA7500 (in wireless bridge mode) to the desired wireless network (hosted by the other EA7500 in router mode). Then, click Apply to save the settings. If you wish to test the speed of the Wi-Fi router with wireless security enabled we suggest using the WPA2-Personal encryption. This is a hardware based encryption protocol and will provide the best test results. In 2.4GHz test, set “Network Mode” to “802.11n Only” to eliminate 802.11g clients. If possible, select a channel that avoids busy/competing networks. Turn off QoS and Parental Controls to enable better performance. 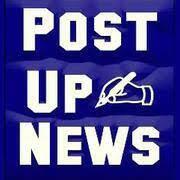 If using a Windows client, disable windows firewall, auto software update, screen saver and power save (auto sleep). JPerf will need to be installed on both Computer #1 and Computer #2. On Computer #1, set the iPerf Mode to “Server” mode and click the Run IPerf! button. On Computer #2, set the iPerf Mode to “Client” mode and enter the IP address of Computer #1 in the Server Address field. Change the Parallel Streams value to 4. Change the Transmit field to 60 to run the test for 60 seconds. Click Run IPerf! and the test should start. Testing the throughput is accomplished by copying a large file (500MB – 1 GB) from Computer #1 to Computer #2, timing the copy, and calculating the speed in megabits per second (Mbps). The results will be much lower than the maximum physical layer (PHY) rate i.e. 1733 Mbps, just as wired Ethernet throughput rates are much lower than the Ethernet PHY rates, i.e. 1000 Mbps. The EA7500 in Wireless Bridge mode and the EA7500 in Router mode should be placed 5 meters from each other for this test. Objective: To demonstrate the benefit of MU-MIMO over SU-MIMO. The distance between the client and the router should be 6 feet or more. Another computer (Computer #3) connected to EA7500 via the computer’s built-in Gigabit Ethernet port is not shown in the above diagram. Computer #1 and #2 are wirelessly connected to the 5GHz network of EA7500 using WUSB6100M. JPerf/IPerf should be installed on all computers. Firewall, auto software update, screen saver and power save (auto sleep) should be disabled on all computers. On computer #1 and #2, open a command prompt window. Change the current directory to the location where IPerf is installed (if you have installed JPerf, IPerf can be run from the jperf-2.0.2\bin directory). Then, execute the following IPerf command at the command prompt on each of these computers. On computer #3, open 2 command prompt windows. Change the current directory to the location where IPerf is installed in each command prompt window (if you have installed JPerf, IPerf can be run from the jperf-2.0.2\bin directory). Then, execute the following IPerf command at the command prompt in each of the command prompt window simultaneously (substitute the last command argument with the actual IP address of Computer #1 and #2, respectively). Just remove the WUSB6100M from your USB port and use the normal built in wireless adapter of your laptop. Connect to the 5Ghz radio. Run the same test same as above and compare the test result.